Nick and Zoe Aust saved up for two years in order to travel the world after their wedding. The newlyweds visited 33 countries in 2018, including Turkey, China, India, and the Seychelles — and Zoe decided to bring her wedding dress along for the ride. The Austs tracked the honeymoon travels on marrymeintravel, their successful Instagram account-turned-travelogue, which has accumulated over 30,000 followers. Newlyweds Nick and Zoe Aust saved up for two years before both getting married and spending 2018 traveling the world. And the trip was far from ordinary. 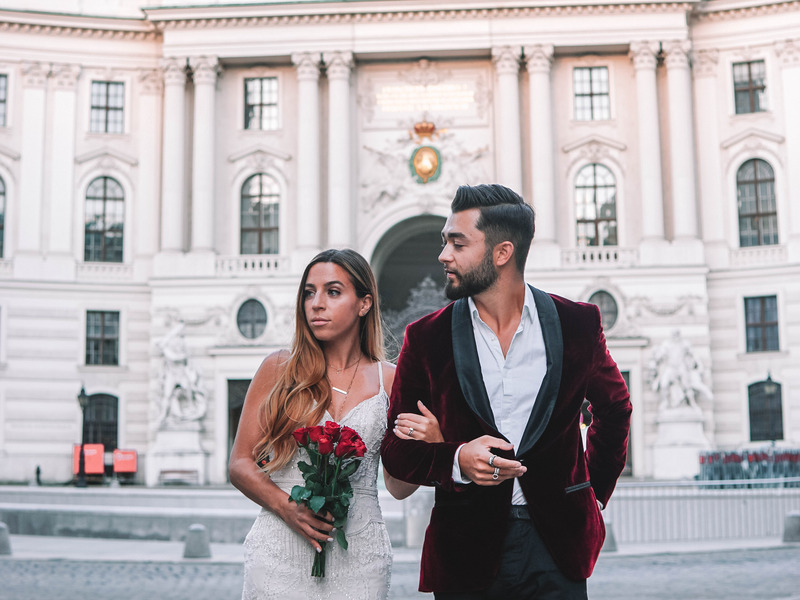 The Austs traveled to 33 countries, Zoe quitting her jobs to embark on the honeymoon of a lifetime, and documenting their journey on popular Instagram account marrymeintravel. Nick and Zoe first met in high school, though they didn’t really know each other at the time — but after reconnecting years later, the couple bonded over a shared love of travel. This engagement abroad would set the tone for the Austs’ post-marriage plans. Knowing they’d take a long trip sometime together, the two began working extra jobs and saved up for two years. Around the time of their wedding, Nick’s company was sold, and the two decided this was the time to take the plunge and take that journey. After tying the knot in December 2017, the newlyweds resolved to take the year-long honeymoon in 2018.